Malaysia is a great location for expats to live and work. 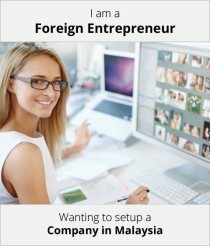 Foreigners will find it much easier if their company sends them to Malaysia for work and handles the visa application process for them. This is because sourcing a job in Malaysia on your own can be a very challenging process. Malaysia has its own set of regulations and laws when it comes to the employment of foreign nationals. To legally live and work in Malaysia, a foreigner must possess a Malaysian work visa. This can either be in the form of an endorsement on your passport, or a recognised travel document. The document must state that you have applied for permission, and that permission has been granted for you to come to Malaysia. Applications for a Malaysian visa can be made in advance at any Malaysian Representative Office abroad. Ideally, this should be done in advance before you plan to come to the country. Malaysia has stringent laws when it comes to illegal workers, so it is highly advisable that you secure your work visa before you start working. Employment Pass (EP) For employees who have a specific skill set (usually technical or managerial). The minimum period for this pass is 2-years. EP Malaysia is available in Category I, II and III. Temporary Employment Pass For employees with a monthly salary of less than RM5,000. Also, applicable for employees with an employment period of less than 2-years. Professional Visit Pass (PVP) For employees with a monthly salary of less than RM5,000. Also applicable for employees with an employment period of less than 2-years. *Note: These work visas are not considered long-term visas and will require renewal before the expiration date. Before lodging your application, you should ensure that your passport has a minimum validity of 18-months remaining. Unless you are based in the IT sector, the minimum age requirement to apply for a work permit in Malaysia is 27-years old and above. For the IT sector, the minimum age requirement sits at 23-years. Depending on the type of work permit you’re applying for, permits can be issued for periods which range from 6 months to 5-years. A foreigner’s employment contract and work permits must be in order before the foreigner can commence working. It is advisable that employers get their employment contracts drafted by professional service providers like Paul Hype Page, who come with the needed experience to make sure everything is done perfectly. For certain classes of foreign employees, the Malaysian company employer will be required to pay monthly levies. Employers who need more information about the visa process, requirements and forms may visit the Malaysian Immigration Department’s website for more information. Employment Pass visas allow a foreigner to take up employment with a Malaysian organisation. This visa will be subjected to the length of the employment contract. The foreigner must hold either managerial or technical positions to be eligible for this visa. Employers will lodge the Employment Pass application for the foreigner. EP’s are valid for up to 60 months, and approval is issued by the Expatriate Committee (EC). Other approval agencies include the Ministry of Home Affairs. Holders of this visa can bring their family members with them under the Dependant Pass visa. The PVP is a work pass visa which allows expats to take up professional work in Malaysia. The visa is valid for a maximum or 12-months. To qualify for this visa, the foreigner must be residing outside Malaysia at the time of application. Eligible positions for this type of visa include professor, lecturer, speaker, researcher, consultant, technical advisor, maintenance installation and fixing expert (machines and equipment). PVP holders are not entitled to bring their family members with them or apply for the Dependant Pass visa. The validity of the PVP will be subjected to the requirements and conditions of Malaysia’s immigration rules and policies for a period which does not exceed 12-months. Any applications for a PVP which are made for the purpose of undergoing training at a factory or hotel is only applicable for a period not exceeding 6 months. To be an eligible Employment Pass holder, a foreigner must be a degree (or above), diploma or technical certificate holder. They must also have the relevant work experience required for each qualification level. Employment Pass Category I holders must have a fixed monthly salary of RM10,000 and an employment contract valid for 5-years. Category II holders must have a fixed monthly salary of at least RM5,000 and an employment contract valid for 2-years. Category III holders must have a fixed monthly salary between RM3,000 – RM5,000 and an employment contract not exceeding 12-months. A TEP will enable semi-skilled and unskilled foreign workers to work in Malaysia. Occupational roles include agriculture, manufacturing, mining, service sectors and construction. TEP’s are valid for up to 3-years. However, they are subjected to yearly extensions. This would depend on the availability of the specified occupation. TEP’s can only be issued after quota approval has been given by the Local Centre of Approval. Family members are not eligible to apply for Dependant Pass visa. All quota approval applications must be lodge with the Local Centre of Approval, Ministry of Foreign Affairs. Levies must also be paid to the same department. Employers must apply for the Visa with Reference (VDR) and the Visitor’s Pass (TEP). Foreign workers must be outside Malaysia at the time of application. They will only be allowed to enter Malaysia once the application has been approved. Kuala Lumpur International Airport (KLIA). Foreign workers must have a Visa from Malaysian Representative Offices overseas. Other entry points from Thailand and Indonesia. Foreigners from here must obtain a Visa from the Malaysian Representative Office in that country. Foreigners will also be required to undergo medical examinations at FOMEMA registered clinics / health centres to obtain a clean bill of health. The Visitor’s Pass (Temporary Employment) sticker can be obtained from the State Immigration Office, or at the Malaysian Immigration Headquarters, Putrajaya. Employment Pass and PVP holders must show a copy of the approval letter upon arrival. You will not be able to enter the country while your work visa is still being reviewed. Foreigners must exit Malaysia to renew their work visas. In-country renewals are no longer applicable. For Employment Pass Category I and II holders, the minimum monthly salary of RM5,000 can no longer include allowances. Allowances are no longer included to meet the minimum salary requirement. 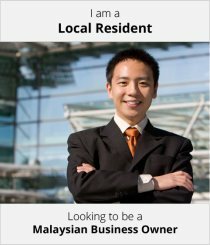 Need Work Visa Assistance in Malaysia? Contact Paul Hype Page Today! To ensure that you are getting the right visa requirements which match your needs, put your future in the hands of the trusted experts at Paul Hype Page. Our team of seasoned professionals will provide you with guidance every step of the way. We commit to conducting in depth research, customised to your needs, so that you are guaranteed of the smoothest application process possible. For more information and visa assistance, visit our website or speak to one of our helpful Corporate Specialists today. There is always a risk when an application does not go smoothly. In Paul Hype Page & Co, we deal with numerous Malaysia work visa applications on a daily basis and this degree of engagement provides us with deeper insights on the application process. As our liaisons work closely with the Malaysian government and the Immigration Department of Malaysia, we are in good position to discern the requirements and will ensure your visa application is completed with best chance of success and within the shortest time frame. Call us at + (603) 2181 8105 or contact us now for a free consultation.